19APR18 Status: Reconnected to high speed internet yesterday so will begin processing video and photo files. 16APR17 Status: Finished US 89 as far as Alpine, WY at 4:40 PM 15APR18. Camped 20 miles west at Palisades Dam. Heading home to Idaho Falls today...50 miles farther west. Old US 89 is closed in Grand Teton NP until May 1. US 89 won't open thru Yellowstone until May either. Parts of Glacier NP rec'd over 600 inches of snow. We're going to wait until spring truly comes to the Northern Rockies before we complete driving the remainder of US 89. 14APR18 Status: Camped @ Palisade State Park south of Manti & 7 miles from geographical center of Utah. Driving old US 89 thru the Main Streets of many cities along the Wasatch Front today. 12APR18 Status: Finished driving all of US 89 in Arizona yesterday. Camped at Lone Rock beach on Lake Powell. WINDY!! Today we will be in Kanab. If we get lucky and find relatives of Dee Woolly & Dave Rust, we might spent the night there. Photo below taken at 7:40 AM from our camp a mile east of US 89 just north of the Utah line. The US 89 Team project began in early October 2017. Countess hours have been spent doing online research, reading historical books and writing articles about various aspects of old and current US 89. 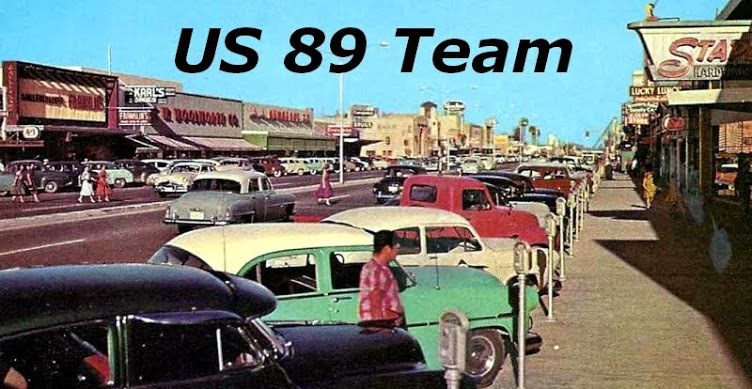 The US 89 Team long-term goal is to thoroughly document and describe US 89 in the pre-interstate highway era from Mexico to Canada. As of early April, US 89 Team maintains this website, a Facebook, Twitter and over a dozen active blogs. 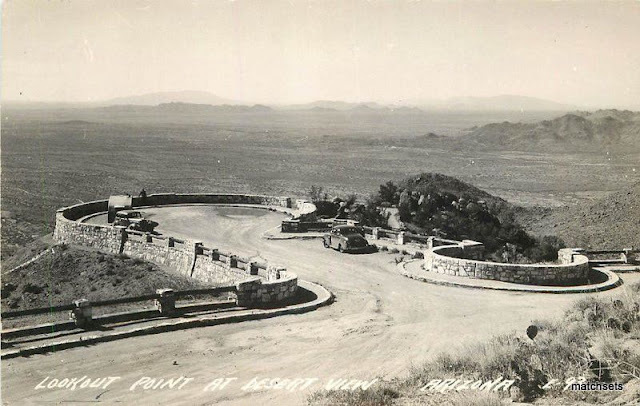 US 89 was officially designated in 1926 extending from Nogales, Arizona, to Spanish Fork, Utah. In 1932, additional portions were added and US 89 extended from Mexico to the Canadian border at Piegan, Montana. In addition to various ongoing research topics, the US 89 Team plans to drive the entire old and current highway from Nogales to Piegan in 2018. 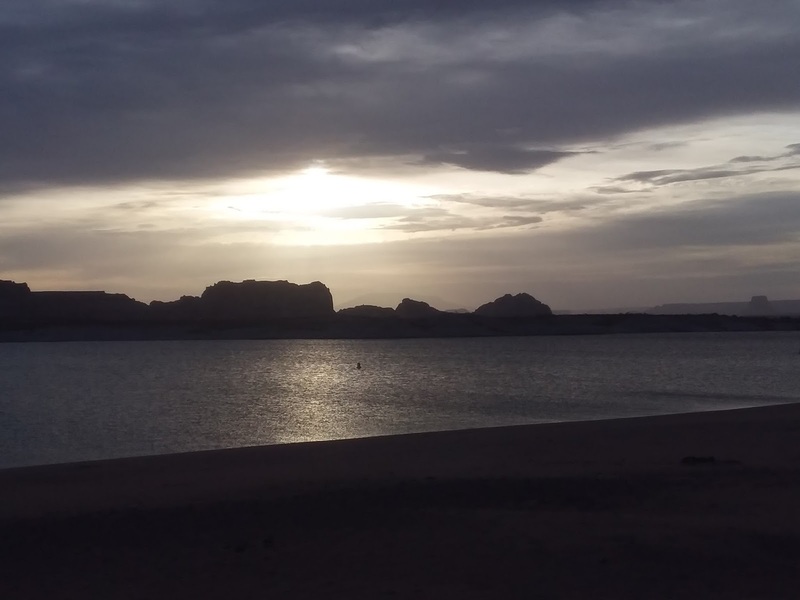 The Drive began on the Spring Equinox at 10 AM, March 20 at Mile Zero right on the Mexican Border. A Customs & Border Protection agent escorted us into a secure zone at the old 1930's East Garita to begin The Drive. Sometime before mid-April, US 89 Team will continue The Drive from Flagstaff through Utah and southeast Idaho to Alpine, Wyoming. We will then take a break at our Idaho Falls summer home before finishing The Drive in June when weather conditions improve in northwest Wyoming and Montana. A link in the left margin will take you to a list of the various blogs we maintain for this project. If you wish to support the US 89 Team project, please become a Life Member for $25. We can be contacted at us89team@gmail.com. Thank you for your interest. John Parsons, Susun McCulla & the US 89 Team Life Members, Contributors and Supporters.